The following information is for sponsoring agencies. It outlines what will be included on the agency’s invoice and provides several examples. This is not the student bill. Please refer to Understand Your Bill for information about student billing. 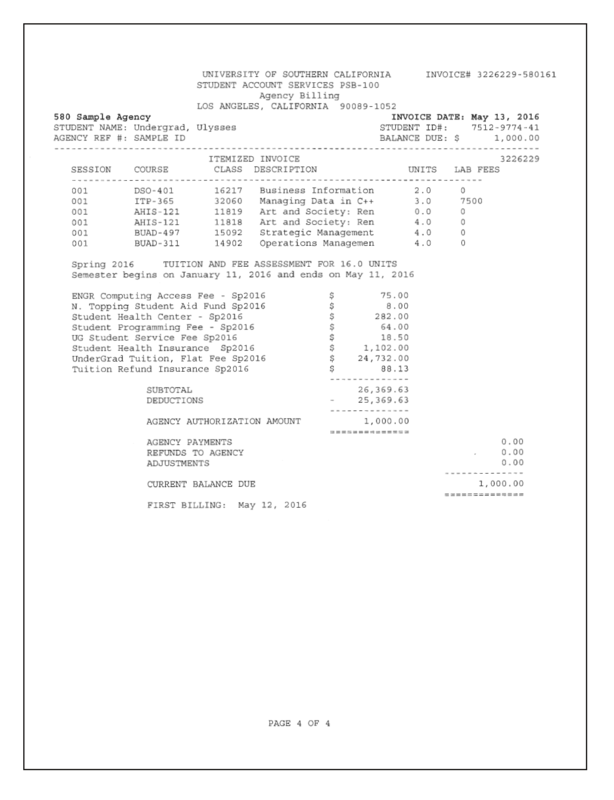 This page summarizes all invoices currently billed to the sponsoring agency. When you pay, be sure to include the USC invoice number. You may provide an optional reference number with your voucher (maximum 15 characters). In this example, the agency has agreed to pay for tuition only. The $2,343.26 deduction is the sum of all non-tuition charges. All term charges are included here, regardless of agency’s payment agreement. Deductions are the sum of charges not billed to the agency. In this example, the agency has agreed to pay tuition and mandatory fees. Therefore, the non-mandatory USCard and Tuition Refund Insurance charges are summarized in the deductions and are the student’s responsibility. 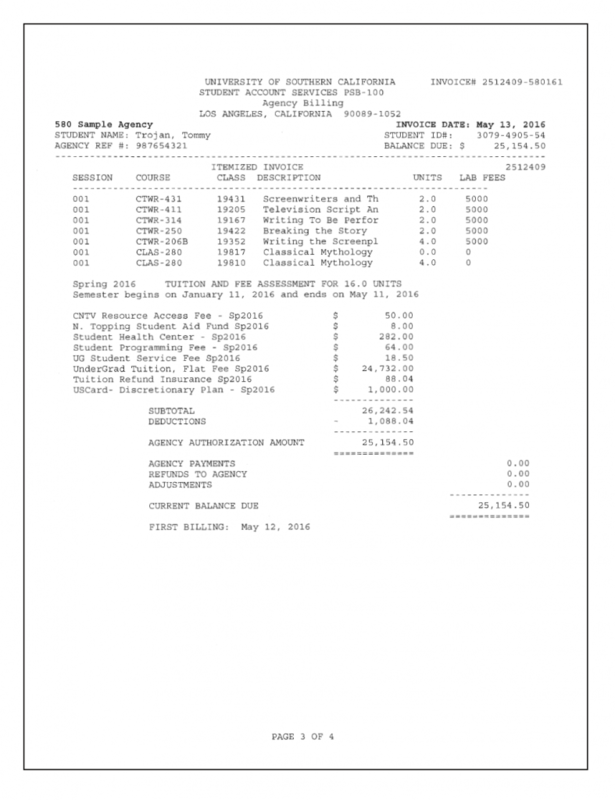 In this example, the agency has agreed to pay a flat $1,000 toward the student bill.